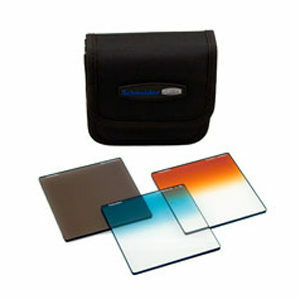 Schneider Optics is pleased to offer the Landscape Control Kit. Designed with the demanding needs of nature and landscape photographers in mind, the new Schneider Landscape Control Kit offers one 4×5.65 ND.6 (2 Stop) Vertical Soft Edge Graduated filter made from water-white Schott glass for unsurpassed image quality. The graduated neutral density can be moved up or down in the scene and used to balance uneven exposure values from background to foreground that is difficult if not near impossible to achieve with post image processing. 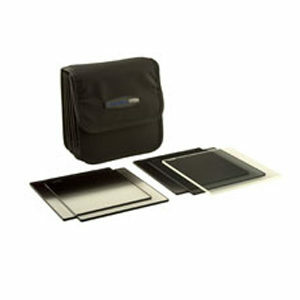 Included is the 4″ Filter Holder manufactured in cooperation with Lee Filters which can accommodate up to two glass filters. 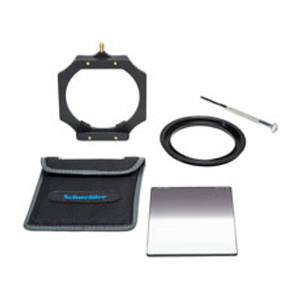 The 4″ Filter Holder includes one 77mm Wide Angle adapter ring for most popular filter diameters. The 77mm Wide Angle adapter ring can be easily removed with one pull of the brass tab and exchanged for available common filter sizes or simply screw on a conventional step ring to smaller filter sizes. Special nylon thumb screws are included in this special factory modification for added security of the 4mm glass filters. 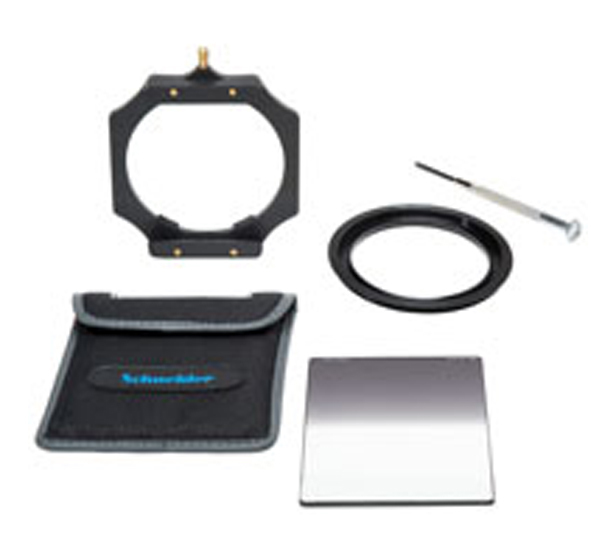 The options for high quality glass filtration are nearly boundless with two filter slots in the holder and the entire Schneider MPTV catalog of 4″x4″ and 4″x5.65″ glass filters that are compatible with this holder kit. 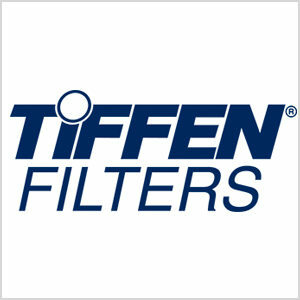 Click here to browse our MPTV filter line. 4″ Filter Holder is also available individually 94-250000, or included with the Cenury 5-Filter Kit 70-C48802. True-Match Vari-ND Upgrade Kits are also available in 77mm 68-884407 and 95mm 68-884408. 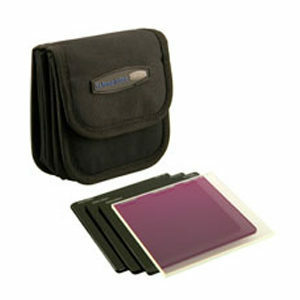 The Tiffen 6.6 x 6.6″ ND 1.2 Filter is a solid neutral density filter providing a 2 stop exposure reduction.